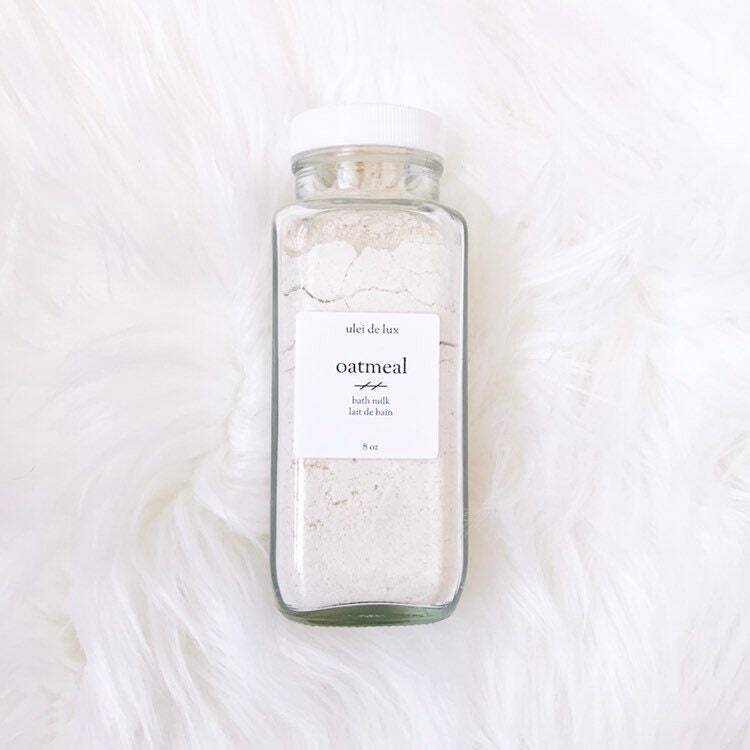 This vegan bath soak soothes and softens dry, irritated skin with colloidal oatmeal and moisturizing coconut milk. No fragrances or essential oils have been added to this product to ensure its gentleness for sensitive skin. Sprinkle a few spoonfuls into bath water and allow to dissolve. Sodium Bicarbonate (Baking Soda), Avena Sativa (Oatmeal), Coconut Milk Powder. The shelf life of our oils/balms is 12 months. Please store them in a cool dry place away from direct sunlight. For external use only. Please keep out of reach from children. Always patch test the product before using and discontinue use if rash, irritation or allergic reaction occurs. Consult a doctor before using any product containing essential oils if you are pregnant or breastfeeding. Some products are not recommended for people with allergies to nuts. The statements made on this website have not been evaluated by Health Canada or FDA (U.S. Food & Drug Administration). They are not intended to diagnose, treat, cure or prevent any disease.